This hand-drawn color map shows towns and geographical features of the Indian Territory in 1879. Some Texas counties, cities, towns, roads, railroads, rivers, creeks, quarries, mills, and topographical features are also included. 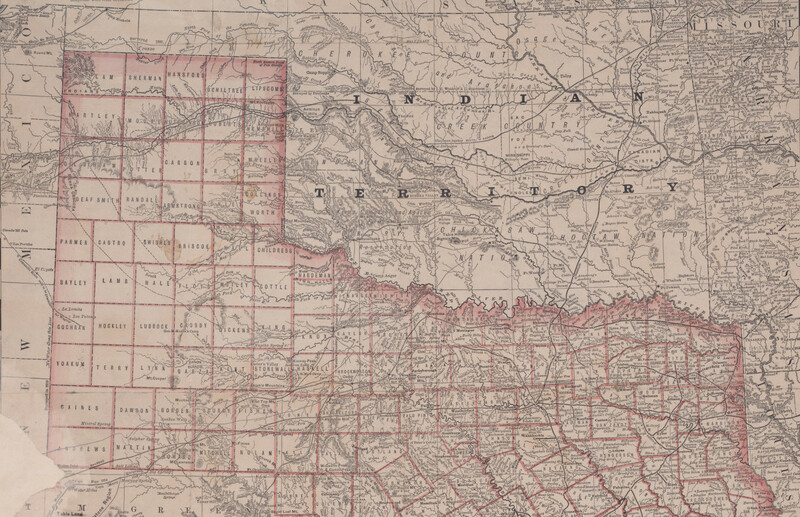 “[Map of Texas and Indian Territory],” Digital Public Library of America, https://dp.la/item/feefba4a7858dca428fdd31e291e3237. Courtesy of UNT Libraries via The Portal to Texas History.